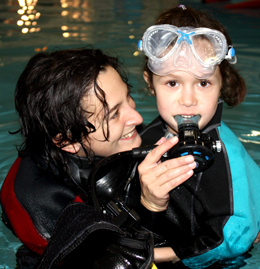 Mini Apnea: This is the first step to scuba-diving for children from 6 years old! An opportunity to learn the techniques of free-diving and discover the underwater world in a funny way, while improving the aquatic skills and making children self-conscious and responsible. The course consist of 4 theoretical and practical sessions of about 4 hours in the classroom and in shallow waters, under close supervision of the instructor. The use of all necessary equipment is included. 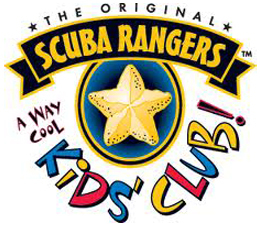 Lo Scuba Ranger This is the first underwater experience for children, allowing them to become familiar with water and having fun with diving equipment. It includes 4 theoretical and practical sessions of about 4 hours in the classroom and in shallow waters, where children can try to dive with tanks under close supervision of an instructor, up to a maximum depth of 4 meters. The use of all necessary equipment is included. For children from 8 years old. It is the first underwater experience in shallow water. It includes a brief introductory theoretical lesson, a dive from the beach (one to one with an instructor) to a maximum of 4 meters of depth (2 meters for children aged 8-10), the use of all the necessary equipment, insurance and certification. Try Scuba can be considered as a credit for the Scuba Diver or Open Water Diver certifications. Minimum duration: about 2 hours. Suitable for ALL, from 8 years old!